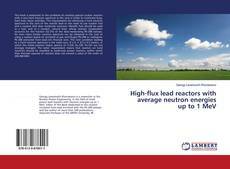 The book is dedicated to the problems of creating special nuclear reactors with a very hard neutron spectrum in the core in order to incinerate long-lived toxic minor actinides. 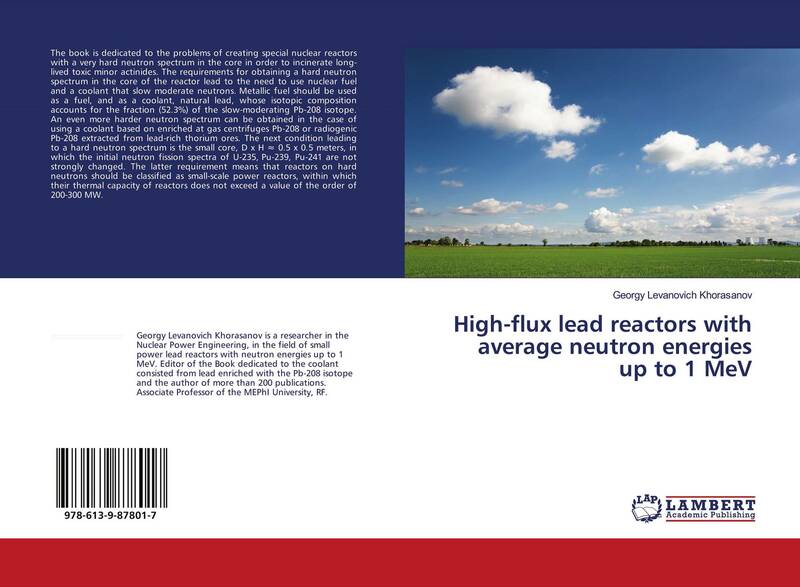 The requirements for obtaining a hard neutron spectrum in the core of the reactor lead to the need to use nuclear fuel and a coolant that slow moderate neutrons. Metallic fuel should be used as a fuel, and as a coolant, natural lead, whose isotopic composition accounts for the fraction (52.3%) of the slow-moderating Pb-208 isotope. An even more harder neutron spectrum can be obtained in the case of using a coolant based on enriched at gas centrifuges Pb-208 or radiogenic Pb-208 extracted from lead-rich thorium ores. The next condition leading to a hard neutron spectrum is the small core, D x H ≈ 0.5 x 0.5 meters, in which the initial neutron fission spectra of U-235, Pu-239, Pu-241 are not strongly changed. The latter requirement means that reactors on hard neutrons should be classified as small-scale power reactors, within which their thermal capacity of reactors does not exceed a value of the order of 200-300 MW.